Your dream home might be a 1,800 square foot cottage near your relatives in Chicago or a 4,000 square foot luxury home in Wheaton within a short commute to your job. Whatever its size and value, it is yours, and you have put a lot of time and effort into making that house a home. But there is one thing you may not have finished yet, and that is the garage. 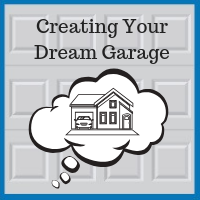 Your dream home is not complete until you have the custom garage of your dreams. Curb appeal. The first thing your dream garage needs is curb appeal. It may need a siding upgrade or some custom stonework to “dress” it to match the style of your home. It may need an upgraded garage door, such as a faux wood finish, a carriage style design, or windows. The exterior light fixtures must, of course, match the style of your house while providing functional illumination. Interior lighting. Is your garage lighting limited to the auto-on light built into your garage door opener, and maybe one or two other bare lightbulbs? Do you find yourself leaving in the dark and coming home in the dark during the winter time? You are not alone, but chances are, the wiring is already in place to fix these problems. For just a couple hundred dollars, you can replace those bare bulbs with attractive and more functional light fixtures. Choose fixtures with a “smart” feature so that you can program them to light your departure in the morning and greet you when you come home at night. PVC slatwall storage. Do you have boxes, bikes, and bungee cords strewn all over your garage, along with ladders, tools, and sports gear? Maybe the former owner of the house left you a few shelves or a sheet of pegboard on one wall, and you have tried to make do. Make a resolution that this year is your garage year! For around $2,000, you can cover an entire wall with PVC slatwall panels, then add the perfect selection of hooks, bins, and shelves. PVC slatwalls are the perfect solution because they look great, are easy to clean, and can hold as much as 100 pounds of gear per square foot. You can see where everything is, and you can add or move hooks and brackets with ease. Slatwall panels can be installed over bare studs or drywall, they come in a variety of colors, and you will never have to worry about painting them. 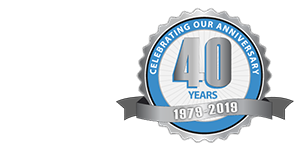 Blue Sky Builders has forty years of experience creating custom garages for our clients in Chicago and the surrounding suburbs. We are well-versed in the local building codes, permit requirements, and construction best practices. In addition to building new garages, we renovate existing buildings with new concrete, siding, roofing, windows, and doors. For a free estimate from a custom garage builder in DuPage County, call us at 630-852-8485. We work primarily in Cook County and DuPage County, but we also serve other communities surrounding our Downers Grove office.